The Ultraroof380 is strong and easy to install. We’ll make sure that your new replacement roof can cope with any undue pressure that might be exerted on the frames of your conservatory by environmental conditions. The ‘380’ in Ultraroof380 refers to the box beam which is its most important component. The box beam is 380mm wide and runs around the perimeter of the roof sitting on window frames and walls. This box beam gives the Ultraroof 380 its super strength, so strong that it never needs a tie bar ever. We like to keep things simple at Ultraframe, so we’ve now dropped the ‘380’ from Ultraroof 380 brand name. Simply ask for Ultraroof. Because the UltraRoof380 is pre-manufactured off-site, your approved Ultra Installer will be able to install your replacement conservatory roof without causing any unnecessary disruption or unwanted mess. Although the installation process is quick, the quality of your Ultraframe product won’t be compromised – a water-impermeable installation can be achieved in as little as six hours. 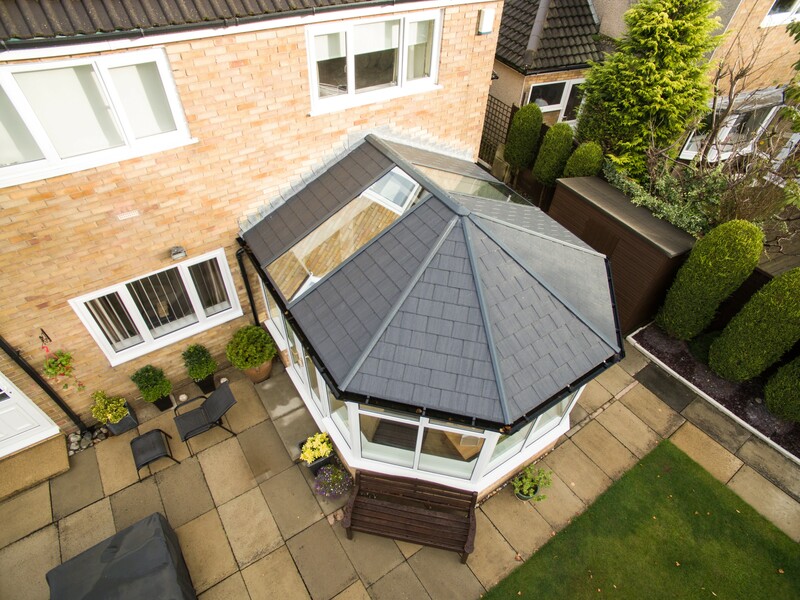 Although the UltraRoof380 is incredibly strong, we’ll make sure that your new replacement roof can cope with any undue pressure that might be exerted on the frames of your conservatory by environmental conditions. To ensure the structural integrity of your new installation, we use NASA satellite data to anticipate snow and wind loading.